! This receiver does not support a USB hub. see Playing a USB device on page 30 .
control. 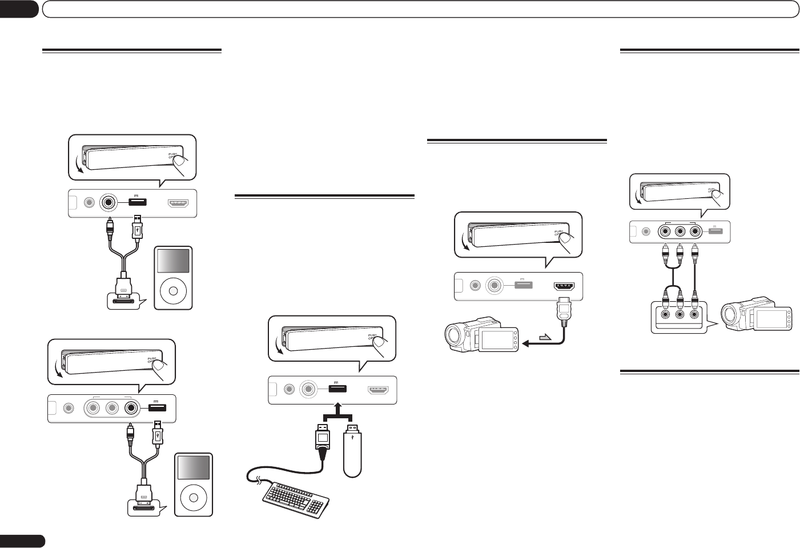 There are standard audio/video jacks. separately sold AS-WL300 for connection. possible to view pictures via the receiver. operating instructions for your iPod. Playing an iPod on page 29 .
text in the following GUI screens.
! Add names to radio station presets (page 32).